Stunners like the 2017 Honda Fit and Toyota Yaris have a lot more to them than their sporty exteriors suggest - they're surprisingly spacious and refined. These peppy hatchbacks also come attached to a lightweight price tag, making them a great pick for a wide range of buyers. 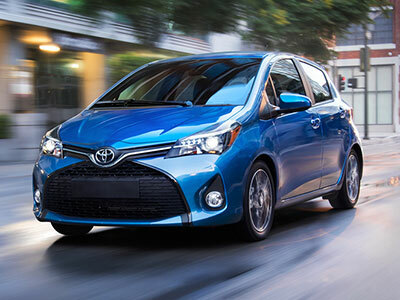 Before you decide whether the Fit or the Yaris is for you, give our comparison guide a quick read. With its surprising interior space, the 2017 Honda Fit is our pick for on-road comfort. When you've got a long commute ahead of you, the Fit's supportive seats have your back. The Fit's class-exclusive Magic Seat takes cabin versatility to new levels. Among its many talents are flip-up cushions that create cargo space behind the front seats so you can stow sizable gear, including bikes. For grocery-getting and other around-town tasks, the Yaris provides a reliable ride. Its seats aren't as comfortable as what you'll find in the Fit, but you can add nicer upholstery to improve your experience. The Fit is our pick for safety - it supplies both streetwise tech gear and pristine crash-test scores. In government crash tests, the 2017 Honda Fit earned a perfect five-star rating for overall protection. We also like its rearview camera, which displays any stray objects in your path so you don't run them over. The Toyota Yaris also aims to keep you protected. In government crash tests, the Yaris earned four out of five stars for overall protection. Unlike the Fit, however, the Yaris doesn't offer a rearview camera, so you have to be extra careful before you back out of unfamiliar driveways. The Toyota Yaris comes standard with a user-friendly touchscreen, which is perfect for millennials and other smartphone-addict types. You can make quick, hands-free phone calls and find a new source of music in a snap. We also like the HondaLink smartphone integration features, which keep you connected with friends and family via voice control. In the 2017 Honda Fit, it's easy to make calls without looking away from traffic. Unfortunately, the Fit's touchscreen could be a little more intuitive, especially for users used to the ease of swipe and pinch smartphone screens. It takes some getting used to, but eventually you'll be sorting through menus like an old pro. If you're like most of us, spending money on gas isn't your favorite activity. Luckily, the 2017 Honda Fit maximizes fuel economy, so you can make less trips to your favorite corner gas station. 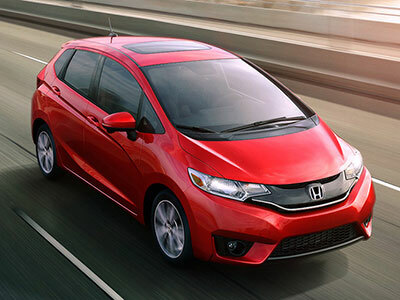 Depending on which powertrain you select, the Fit earns up to 33 city/40 highway mpg. The Toyota Yaris trails in this category, but not by much. Earning up to 32/40 mpg, it nearly matches the Fit for fuel savings. However, it doesn't feel quite as peppy - especially when you're launching from a stoplight. When it comes down to it, the 2017 Honda Fit pulls ahead of the hatchback pack. It's the all-around winner, thanks to its spacious, comfortable cabin. Modern tech gear keeps you connected, even when you can't take your hands off the wheel and the Fit's affordable price tag, coupled with its thrifty fuel economy, will give your budget a boost.